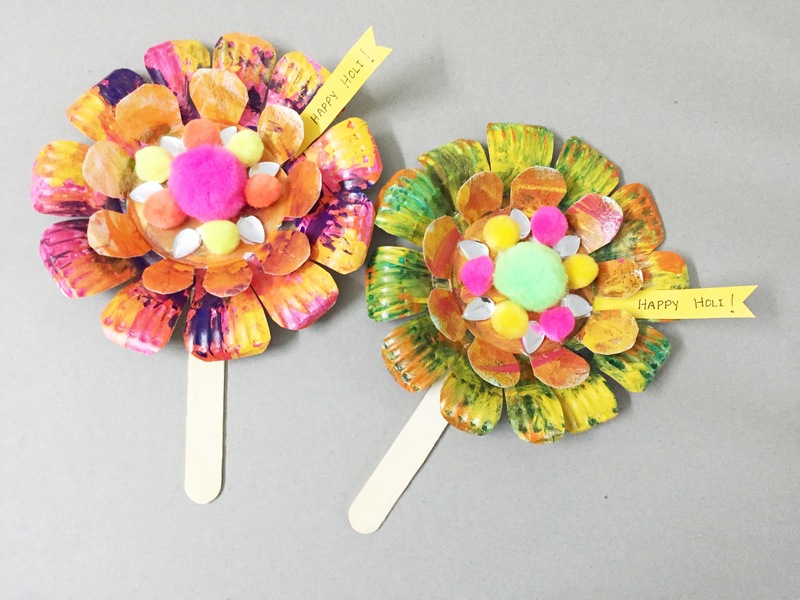 The third winner chosen by our team was Shreya with her very colourful crafting entry – Holi themed flowers. 1. 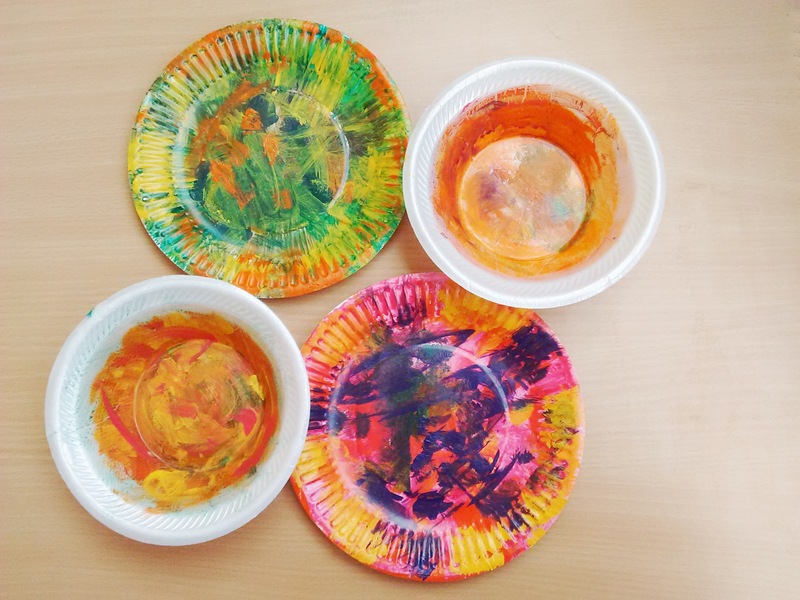 Paint the bowl and plate with colours of your choice. 2. Let them dry for an hour. 3. 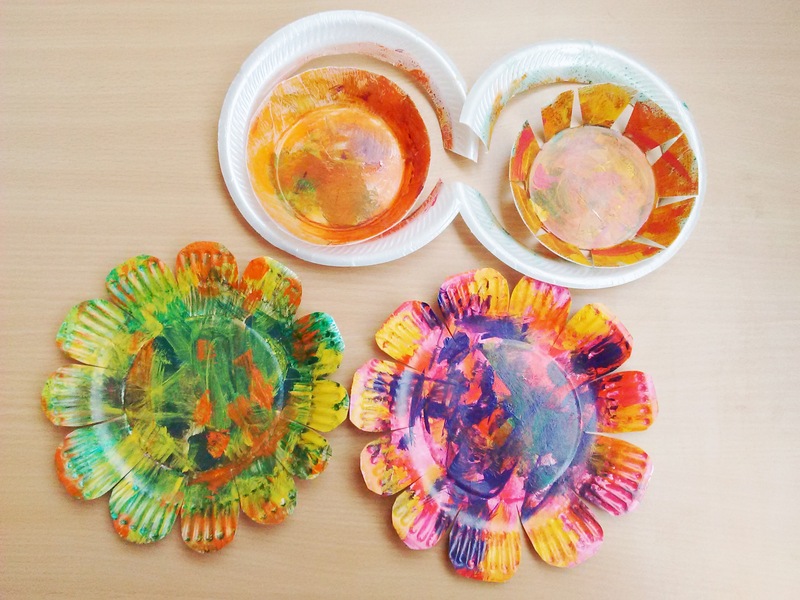 Cut the plate and bowl to form a flower-like shape. 4. 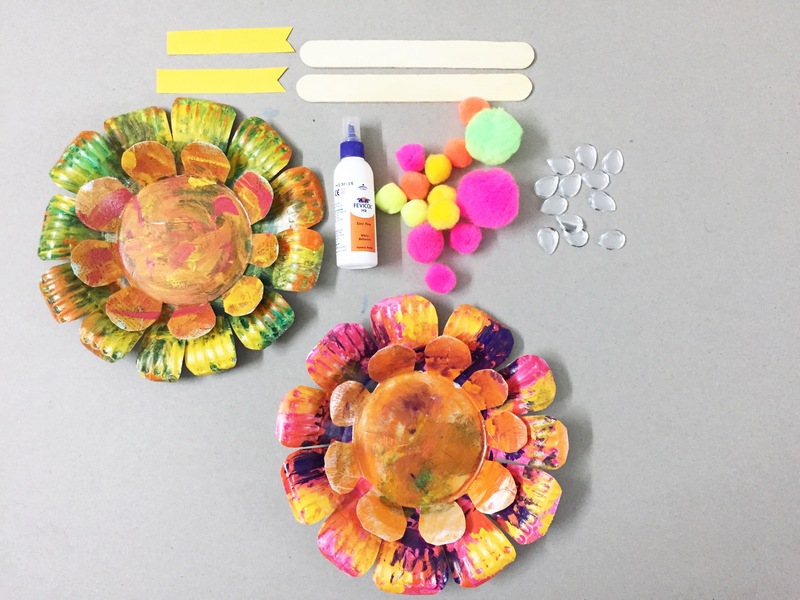 Embellish the flower using pom-poms, acrylic stone embellishments and glue. 5. 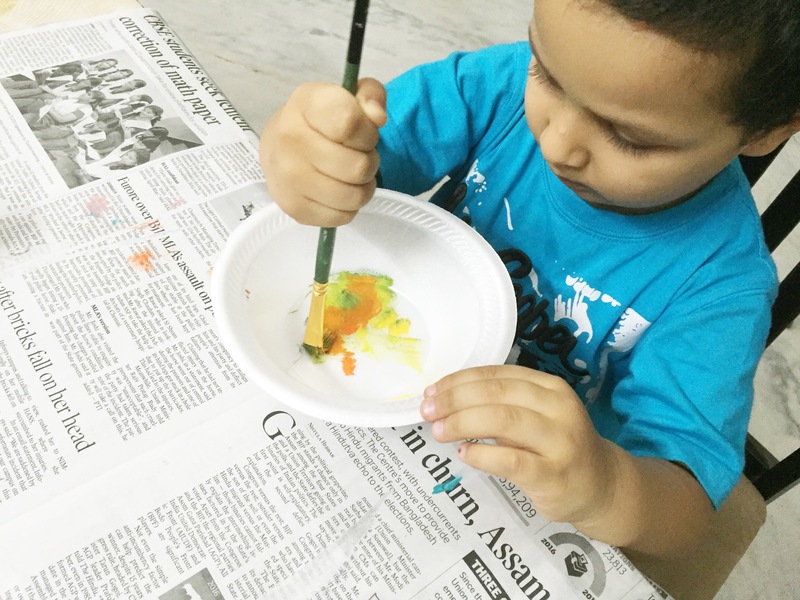 Paste the ice-cream stick on the back of the plate. 6. 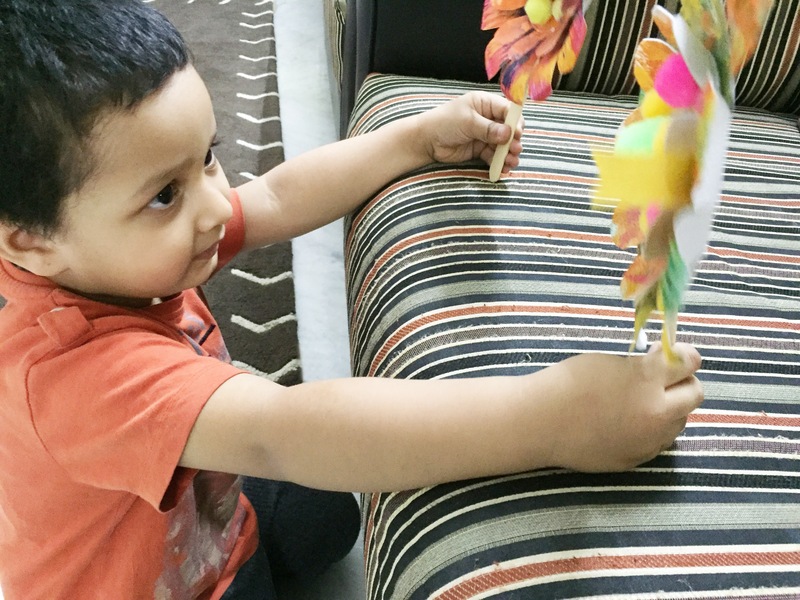 Attach a paper strip with glue on one of the petals and write your message.